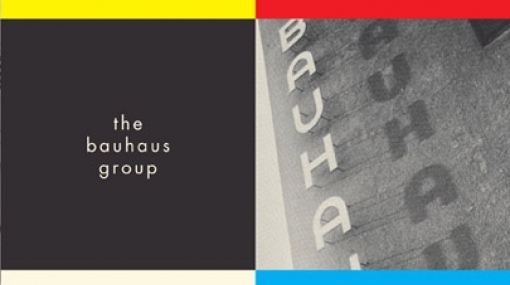 A selected list of guides to to the Bauhaus movement, founded April 1, 1919 in Weimar (moving to Dessau in 1925) by German architect Walter Gropius, and highlights of some of its major figures. Designer and design history educator Elizabeth Meggs selects 16 books from the library of her father—the pioneering graphic design historian Philip B. Meggs (d. 2002) who authored the landmark Meggs’ History of Graphic Design, recently updated in a sixth edition—and her mother, art director and writer/illustrator Libby Phillips Meggs. Designers and Books spent an afternoon with architect and urban planner Denise Scott Brown at the suburban Philadelphia home she shares with her husband, architect Robert Venturi, talking with her about what went into making the book Learning from Las Vegas—and the studio class that prompted it—her thoughts about the book’s significance today, new writing, and what she’s working on next. These 10 design books appear most frequently on the book lists of our designers, commentators, and other contributors. April is National Poetry Month in the U.S. In honor, we take a look at five designers’ book lists from our archive that have included books of poetry—by authors ranging from Shakespeare to Mark Strand—as design inspiration. A design library and museum at Florida International University features rare books, posters, and ephemera from 1885 to 1945. 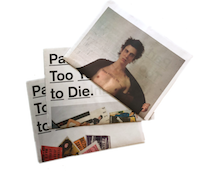 In this installment of “Talking Eds,” a series focusing on personalities in the design-book publishing world, Designers & Books talks with Angela Tillman Sperandio and Samira Bouabana, the two founders of the Stockholm-based Hall of Femmes, dedicated to showcasing the role of women in design. Debbie Millman talks to industrial designer and co-founder of frog design, Hartmut Esslinger. Please visit www.boltedbook.com to keep current on any updates for the Bolted Book project. In our second installment of You Are What You Read, Los Angeles-based interior and product designer Barbara Barry talks about beauty, American design, and her favorite book. In this series, Designers & Books asks prominent designers to describe — in words and images﻿ — a book they have found to be particularly inspiring. Barbara selected A Clearing in the Distance: Frederick Law Olmsted and America in the 19th Century by Witold Rybczynski.